I won’t have the privilege of naming a baby again but that doesn’t stop me speculating about the names I could have chosen. What if my Patrick had been a ‘Pralix’ or my Edward an ‘Eldrad’? Would their lives have been different? 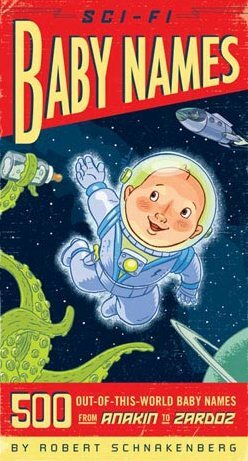 A twist on the standard baby names book, Sci-Fi Baby Names lists five hundred distinctive names from sci-fi books, movies and TV shows and includes lots of useful categories such as traditional names, power names, intellectual names and exotic names. Each name listing includes origin (century and planet), source (so that you can sort your Star Trek from your Dr.Who), a little about your namesake’s character (for example “A feckless, flustered, somewhat dim-witted human…”), quotes and more. The descriptions might not exactly sell you on a name (the example above is taken from the entry for ‘Arthur’) but it’s probably good to know if you are about to name your baby after a good or an evil alien. 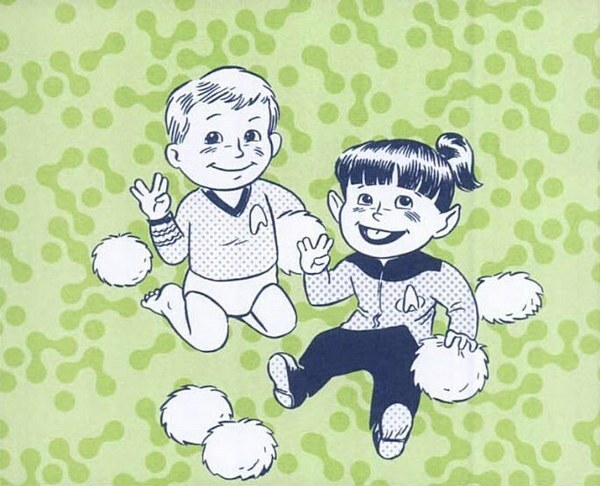 Sci-Fi Baby Names is available from Book Depository for $11.60, including shipping. Check out our other ‘geek’ baby posts on nursery artwork, onesies and t-shirts.